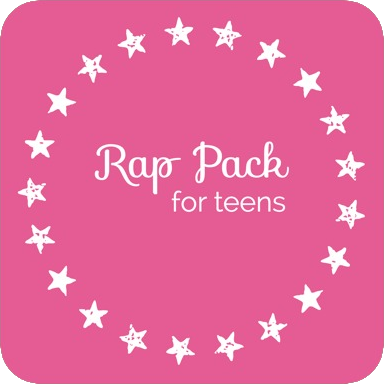 The Rap Pack for Teens provides ideas for how to use raps to work on a variety of goals during your teen music therapy sessions. It includes an E-Book full of ideas plus 12 mp3 tracks with looped beats for rapping. You’ll learn how to create and perform rhythm combo raps and freestyle raps, plus tons of ways to vary and extend each musical experience. Do you ever get stuck coming up with fresh, new ideas for your teen sessions and sometimes feel like you do the same thing over and over? Have you ever wished you had a go-to resource so when you sit down to plan your teen sessions you have inspiration right at your finger tips? It’s called the Rap Pack for Teens. This resource provides ideas for how to use raps to work on a variety of goals during your teen music therapy sessions. Specific instructions for implementation are included and I offer variations to fit the needs of those working with both groups and individuals. The Rap Pack is designed to help get you unstuck and get your creative juices flowing for session planning. (Or, keep reading to find out more about the ‘Why’ behind the Rap Pack as well as more details on the goodies you’ll find included with this resource). The Why behind the Rap Pack. I’ve had the privilege of working with teens with autism and other special needs for twelve years. I absolutely love working with this population. But, I have to be honest – I did not always feel this way. Full disclosure: when I first started providing music therapy sessions for teens, I was extremely nervous and unsure of myself. I was great at coming up with musical experiences that were goal-oriented. I had that down. But when it came to creating experiences that were goal-oriented AND engaging for teens that seemed “too cool for school,” I had a bit more trouble. So, in my first year as a music therapist working with teens, I made it my mission to create and test out all different types of musical experiences. I wanted to find the ones that were the most successful in meeting targeted goals AND were most successful in terms of client feedback. There is no better feeling than when a teen client says “Can we do that next week? That was so cool.” Am I right? My sole purpose in creating the Tuneful Teens E-Book series and the Rap Pack is to share with you the musical experiences that have been most successful with my teen clients. The experiences that are a “home run” every time. The experiences I hear the teens talking about after the session is over. The experiences they ask to do again next week. I know that if clients are engaged and are enjoying what they’re doing within the session, they’re more likely to accomplish the goals I’ve set for them. And isn’t that ultimately what we want? That’s why I created the Rap Pack. Rapping is one of those musical experiences that engages teens while simultaneously targeting a variety of goals. Rapping is cool and the experience of creating and performing a rap can be adapted and varied in countless ways. In the Rap Pack I explain step-by-step how I facilitate these musical experiences. You’ll learn how to create and perform rhythm combo raps (where small groups are assigned their own rhythmic parts that are layered on top of each other), which is ideal for working on sustained, divided, and selective attention. You’ll also learn how to facilitate freestyle raps, which are ideal for building self-esteem and allowing opportunities for self-expression. Each and every idea listed in the Rap Pack has been used multiple times in my teen music therapy sessions. I also offer variations to fit the needs of those working with both groups and individuals. 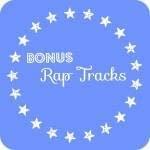 In addition to the E-Book, you’ll also get twelve original mp3 tracks with looped beats that can be used with any of the musical experiences described in the Rap Pack. 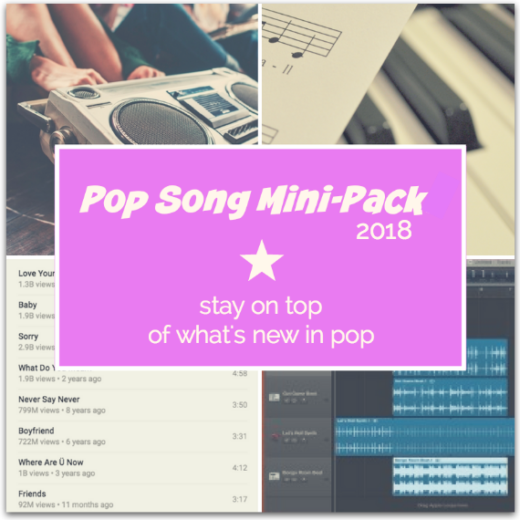 My hope is the ideas included in the Rap Pack will help you get “unstuck” and kickstart your creativity for session planning. You won’t be limited by what’s included within the e-pages. The ideas will help spark your creativity so you can begin designing musical experiences that will work well with your particular groups and your unique clients. The Rap Pack will be a go-to resource with easy-to-access ideas that can be implemented in a variety of settings (individual and group) and with a variety teen populations (those with behavior disorders, autism or other special needs). The best part? It’s only $18. Here Are Some Kind Words About the Other Teen Resources We Offer. Wholesome Harmonies E-Books are designed to provide creative ideas and inspiration for music therapists. The E-Book series has sold over 600 copies in total and is helping music therapists get “unstuck” during session planning. “When I first started out as a new music therapist, the population that intimidated me the most was the tween and teen crowd. 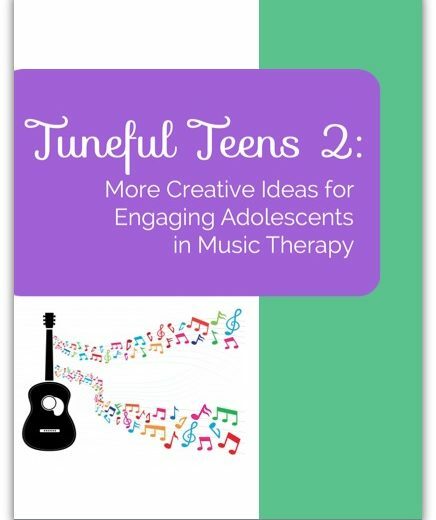 That’s why I was so excited when my friend and fellow music therapist Amy Kalas Buser launched her E-Book, Tuneful Teens. 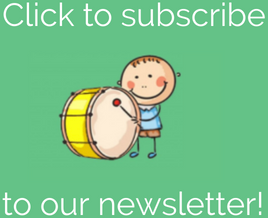 Amy provides everything you need — step by step procedures, templates, sheet music, etc. — to implement the interventions in your music therapy sessions. I highly recommend Amy’s book!